The heroin epidemic has brought tragedy to thousands of families, but some have found comfort in a trend quietly picking up momentum. The Grugan family of Pennsylvania is among those who’ve donated the organs of a loved one who died from a drug overdose to help save other lives. Eileen Grugan said her son, Charles, had checked off the organ donor box years before his death from a heroin overdose at age 33. “He was checking it off because he believed it was the right thing to do. Not that he would ever be called on to do that. He had big dreams,” she told CBS News’ Kenneth Craig. But an addiction to painkillers derailed those dreams and swept Charles into the nation’s opioid epidemic. He had his first pill in high school, and by age 30, he had moved on to heroin. Three years later, he overdosed in the family living room. “I yelled to him, ‘Charles?’ and he didn’t answer, and I ran in and grabbed him and I said, ‘Charles!’ And he was gone. The brain damage was very, very severe and he was not going to be coming back,” his mother said. 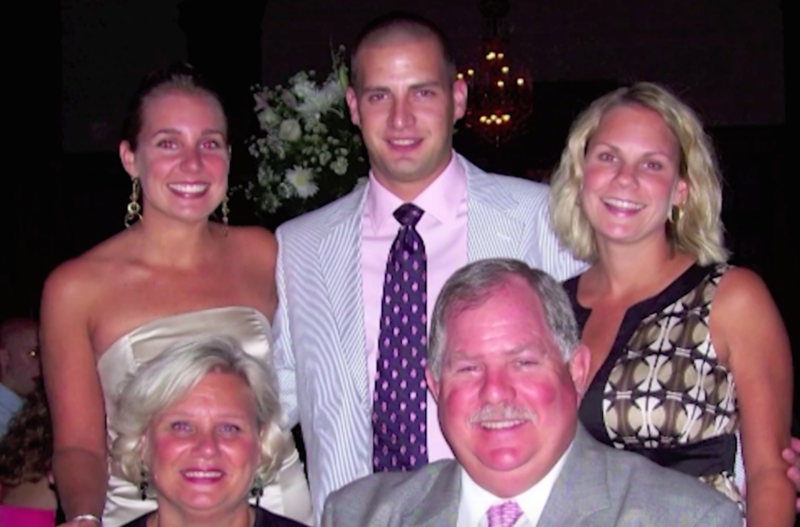 Charles’ parents and sisters honored his wish to donate his organs. “It is the thing that helped us get through this grief that we thought we were never, ever, going to be able to be whole again,” said Eileen. As of October, 12 percent of deceased organ donors in the U.S. died of drug intoxication, according to the United Network for Organ Sharing (UNOS) — 791 out of a total of 6,557. That’s more than the number who died of gunshot wounds. While the percentage of organ donations from people who died of drug overdoses has risen steadily over the past two decades, UNOS data shows it’s most notably increased in the past four years. “Those are young people who are dying,” Howard Nathan, president and CEO of Gift of Life Donor Program, a non-profit organization that recovers and distributes organs and tissues for transplants in Pennsylvania, New Jersey and Delaware, told CBS News. But organ donation can comfort the grieving, he said. “They hear that a loved one can save somebody else’s life — as many as five, or six, or seven people — and this helps them in a way we can’t even imagine,” Nathan added. Drug users have traditionally been viewed as “high risk” donors because they can carry infections like HIV and hepatitis C, but that thinking has shifted in recent years. Amid a severe shortage of organs for transplant, more and more transplant centers across the country are trying to use organs donated from overdose deaths rather than keep desperately ill patients waiting even longer. Experts argue that the risk of transplanting an infected organ is small, and even if hepatitis C or HIV were passed along, those conditions can be managed with medicines. Charles Grugan’s organs were tested and cleared for diseases and damage. Despite his drug use, his kidneys, liver and heart were in good enough condition to go to three patients in need. Almost 120,000 people are on the national waiting list for transplants, according to the Organ Procurement and Transplantation Network. Every 10 minutes, someone is added to that list and on average, 22 people die each day waiting for a transplant. What’s it like for his parents to know that their son’s heart is beating inside someone else’s chest? “I think about that every day,” said Charles’ father. “He often thought that he would do something so incredible. And he did it. He really, really did it,” his mother said.